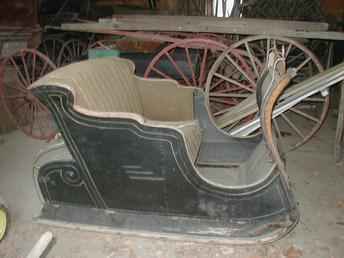 Original Ad: Original, Untouched, Antique, Horse-Drawn Canadian Sleigh. Asking $450.00. Buyer to arrange shipping or pickup. E-mail w/ques & for addl photos. Have (2) racing~nl~sulkies, pony wagon, and (2) surreys. Liquidating remaining of~nl~40 year collection. Thanks!